One ancient practice that has shown tremendous transformations is the practice of meditation. So what is meditation? and why is it known to change people’s lives for the better? Even to the point of improving your chances of success and changing your whole life completely. You may ask, what are the benefits of meditation? Well, meditation is a practice that is done by an individual that trains the mind and induces an altered state of consciousness. You are fully awake, but your mind travels elsewhere, into your unconscious. There are many techniques for meditation like practices that specifically target certain areas like promoting relaxation, develop self awareness, reduce stress, or to foster a sense of well-being. Meditation exercises the mind. You exercise your body to keep it healthy and fit. Meditation does just that to your mind. By practicing self-awareness, you are improving and keeping your psychological well-being fit and healthy. Meditation is intimately associated with spiritual and religious contexts. Many ancient civilizations used chants and rhythmic prayers to their gods. The earliest known record of meditation is from Hindu texts 5000 years ago. The Buddha, who is one of the major proponents of meditation, sat for years trying to reach enlightenment through meditation. The practice of meditation can be seen in all religions–from Judaism to Islam to Christianity–it is an essential act of getting in touch with your spiritual being. Since the 1960’s and ’70’s, the many benefits of meditation have been scientifically researched in the Western world. Various meditation techniques have been thoroughly studied, which has led millions of people practicing different meditation techniques all over the world. There are many different types of meditation and it is best to do a bit of research to find the type that is best for you to gain the benefits you are looking for. One of the most popular meditation techniques is Transcendental Meditation. It’s a very simple and effortless practice wherein you sit on the floor or on a chair upright for about 20 minutes twice a day. It is known to reduce stress, improve your thinking, help you sleep better, and helps you deal with tense situations more calmly. Another meditation technique is Mindfulness or the Vipassana, which is a Buddhist tradition. All you do is sit on a chair in a proper position, close your eyes, and accept any thoughts that come to mind. It allows you to be present in your thoughts, allowing them to freely enter your mind. Mindfulness is also used in psychotherapy wherein you let repressed thoughts and emotions come out of your unconscious. It can be your way of dealing with emotions that you keep bottled up inside of you. 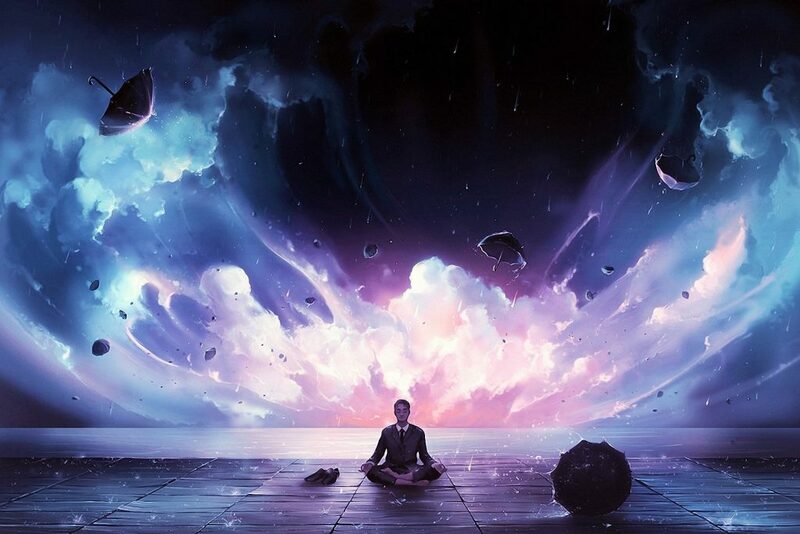 Creative or Visualization Meditation involves concentration on an image or vision. If you want to achieve something, say for example, a job promotion, what you do is you sit on a chair and visualize yourself actually achieving the image in your head. When you imagine these images, the emotions that are associated with getting what you want will be felt–like happiness and satisfaction–as if you already have it. It can promote confidence and optimism. 1 – Meditation relieves overall stress. It can lighten the load of a busy day and relieve your physical and emotional stress through relaxation. 2 – It helps you look young by getting rid of all that stress that can add wrinkles to your face and make you ill. You feel energized and rejuvenated, lightening your load and reducing feelings of sadness and despair. 3 – Meditation gives you added energy. Your concentrated breathing and relaxation improves your blood circulation, giving you more energy to be productive and do enjoyable things in life. 4 – Lowers your risk of cardiovascular disease and improves your immune system. Through relaxation and breathing techniques, meditation can lower your heart rate and blood pressure, making you healthier. 5 – Meditation can improve your concentration level and clear your mind. When you’ve faced your demons and unnecessary thoughts, your mind is free to accommodate more important and pressing matters in your life. 6 – Awaken higher levels of your creativity and potential. By weeding out the negative toxins in your mind, you have more freedom to explore things that will bring you more development and improvement. 7 – Eliminate anger and fear. We often repress these emotions because they are sometimes too much to bear. When we openly accept them into our thoughts, we let them go and allow them to disappear. 8 – When you let go of fear and anger, when you are happy and improved, it immediately improves your relationships with others. 10 – You develop tolerance. When you are less tense, less stressed, and happier, you become more calm in dealing with tense situations. Many famous celebrities have their own share of benefits from meditation. Paul McCartney and the Beatles made Transcendental Meditation very popular in the 1960’s when they went to India, learned and practiced the technique with TM’s very founder Maharishi Mahesh Yogi. Paul McCartney has stated that meditation was very inspirational to him, that his mind was clearer when he wrote their songs. Transcendental Meditation is also the only meditation technique that has had over 600 independent scientific studies carried out that shows how effective and beneficial it is. It is also the technique that Oprah Winfrey practices and all her staff. Also Hugh Jackman, Ellen DeGeneres and David Lynch. Tina Turner also practices meditation and she credits her strong Buddhist beliefs and meditation practices to giving her the inner strength she needed to leave her abusive husband in the 1970’s. Albert Einstein had daily meditation naps that brought him answers before he even asked the questions. Undoubtedly, meditation is a practice that brings about massive benefits that can change and improve our lives. There are many meditation techniques that you can perform, but the very premise of meditation has always been for self-awareness and psychological well-being to help you transform and change your life. Don’t know where to start with meditation? Make sure you read the book below “Meditation for Medicine”.The meditation techniques are easy to understand along with detailed pictures, a must have for anyone who is looking at benefiting from meditation.